We hope you are having a wonderful weekend. Thank you so much for stopping by for another joyful and relaxing Sundays at Home party! We had so much fun this week seeing your wonderful creations, especially the Valentine-related ones. Y’all are so talented! It’s hard to believe that Valentine’s Day is almost here and will be gone before we know it. 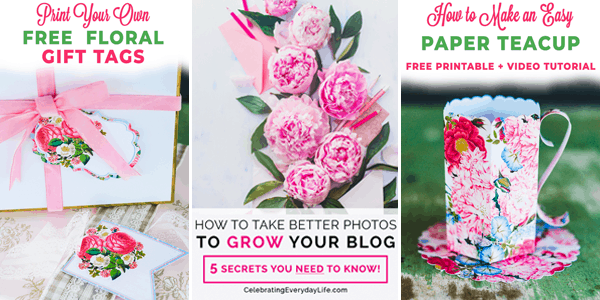 But, never fear if you’re not quite ready, this week’s party includes some beautiful ideas that you still have time to create! 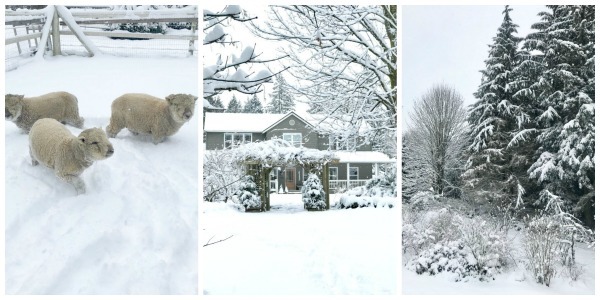 A Seattle Snow Day at Our Little Farmstead! If you are hosting a Valentine or Galentine dinner then check out this gorgeous tablescape from Taryn Whiteaker. It’s romantic, moody and modern! 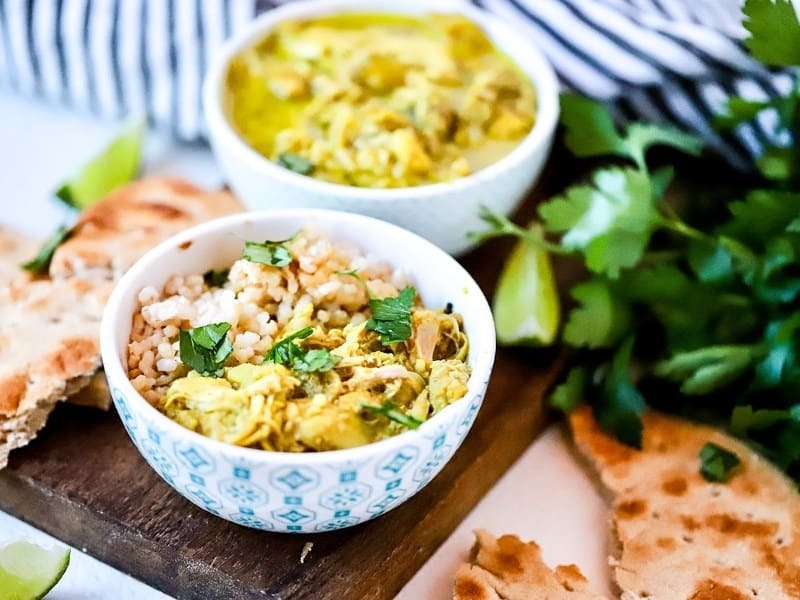 If you’re looking to spice things up this Valentine’s Day check out this easy Crock Pot Curry Chicken recipe from Erin at Suburban Simplicity. Yum! 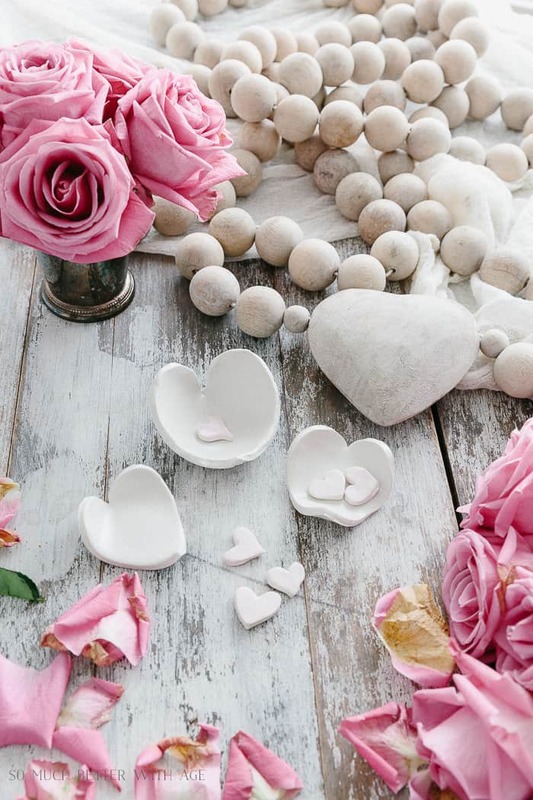 And if you’re feeling crafty, you must try your hand at these DIY Clay Heart Dishes from our friend Jamie at So Much Better With Age. Thank you Susan for your 342nd Sunday’s At Home, always appreciated. 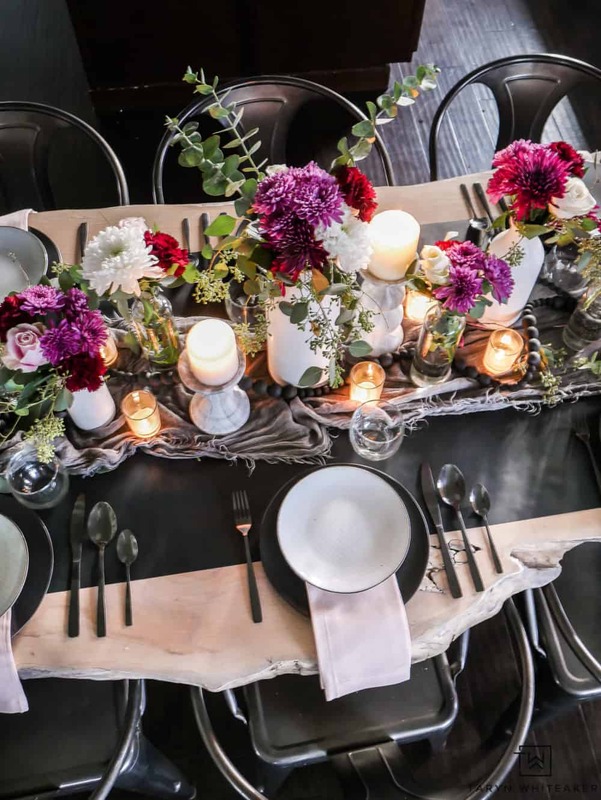 What a pretty table scape you featured! My first time here. Thanks for hosting. I linked up at 122-124.